As the More is More Mom®, I’m all about………more remembering loved ones! Earlier this week, with great sadness, we learned that Chuck’s beloved Aunt passed away. While my family may be small but MIGHTY, the one element it sorely lacked was a loving aunt and uncle. When I was about my Nick’s age, I was lucky to have become an adopted niece to Chuck’s Aunt and Uncle. Not having children of their own afforded them time to be completely invested in the lives of their only nephews and nieces; Chuck, his younger brother and two younger sisters. There wasn’t a birthday party, event or celebration that Aunt and Uncle didn’t make time for. As the kids got older, got married and started families of their own, there were only more people to love. These are the people to admire and learn from; those that know that the greatest gift is the gift of time. 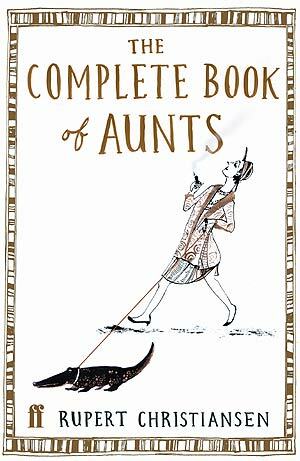 Some of my favorite things about Aunt were her love, her compassion, her acceptance, her fierce loyalty, her devotion to her family, particularly they way she cared for Grandma, her aging mother, and Uncle. Everyone who knows him knows that Uncle is the world’s biggest sports fan. His first question when he sees you is almost always, “Did you see the game?” It doesn’t matter what game, there’s always a big game; football, hockey, basketball, baseball, collegiate or professional. However, as a fella who hails from Detroit, he especially loves his hockey. Uncle was tickled pink when Nick laced up his first pair of skates at the tender age of 4. Sometimes Aunt would bundle up Grandma and they would meet us at rinks near and far, day or night, to watch Nicky skate. It wasn’t so much that she was a hockey fan, but a fan anything and everything her nieces and nephews were doing. She just wanted to be a part of it; playing Spoons on Amanda’s birthday, watching videos of Amanda doing gymnastics and making sure that the kids had an opportunity to really know their Great Grandmother. When Aunt was unexpectedly hospitalized 12 days ago, we were fortunate to have been able to spend some time with her. Even when she might have been focusing on her own self and health, she was so proud to have us all with her, making a point to introduce each of us, as her niece or nephew, to her nurses. Sadly, she lost her battle. Taken too soon, but never to be forgotten, we will remember Aunt for her love for us, her devotion, her support and kind words of encouragement, and for helping us to celebrate life’s milestones.